The mission of EyeNetra is to reshape the world of eye diagnostics. With its technology, eye tests can now be performed by and for anyone in the comfort of his or her own home. 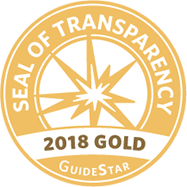 The team was inspired by the poor user experience in traditional hospitals, especially in the developing world, and by the more than two billion people worldwide living with vision impairments. NetraG is the world’s first and only smartphone vision diagnostic tool. Unlike traditional eyecare equipment, it enables highly accurate, self-administered tests with minimal training. Its sleek design and compact size allows it to travel anywhere, reducing the barriers to access and affordability for those in more remote areas of the world. By leveraging social networks and health data, NetraG keeps people connected to the right providers and vendors to ensure they get the care they need. 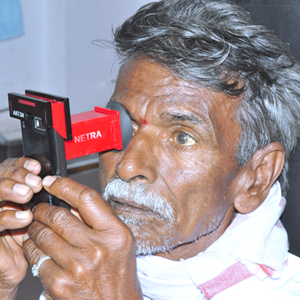 EyeNettrastarted in December of 2009 with NETRA (Near-Eye Tool for Refractive Assessment), a low-cost clip-on for cell phones to measure refractive conditions. In 2010 we developed CATRA, a similar device to measure cataracts. In 2011 we developed tailored displays, a new kind of display that compensates for the user's vision condition, avoiding the need for eyeglasses. In the course of these innovations, we have produced several papers, patents and grants. In 2011, we established EyeNetra, the VC-backed company that is building and commercializing NETRA worldwide. We have collaborated with 29 research teams to extend our reach to 14 countries and have tested the eyes of over five hundred people in just the last six months.